1. Investing for the long-term allows you to take advantage of high return opportunities that others might shun. Many short-term investors might pass on a high-return investment just because the near-term outlook is weak or uncertain. 2. Being a long-term investor helps guard against behavioral biases. Recency bias causes people to over-extrapolate the near-past further into the future more than the facts merit. Taking the long-term view on an investment should cause you to think about more than just what has been happening recently to arrive at a reasonable conclusion. 3. Long-term investing reduces frictional costs, such as trading expenses and tax impact. 4. Evidence shows that longer holding periods are associated with better performance. •	According to Dimensional Fund Advisors, over the 15 year period ending on 12/31/2015 the average holding period of a stock by U.S. equity mutual funds has been approximately one year. •	The data presented above shows that when equity funds were divided into quartiles based on their average holding period, a much higher percentage of funds with longer holding periods outperformed the benchmark over the full period than did funds in any of the other quartiles. •	Needing long-term funds to meet short-term needs. If you do not have other means to meet your short-term financial needs, then you might need to resort to selling your long-term investments at very disadvantageous prices. If you are an individual investor you should have appropriate safety funds to meet unexpected short-term needs and only invest for the long-term with funds that you won’t need for 3+ years. Institutions need to plan out how they are going to fund the portion of their assets they plan to spend each year and structure the portfolio to meet those annual needs with short-term assets such as cash or short-term bonds. •	Behavioral biases. 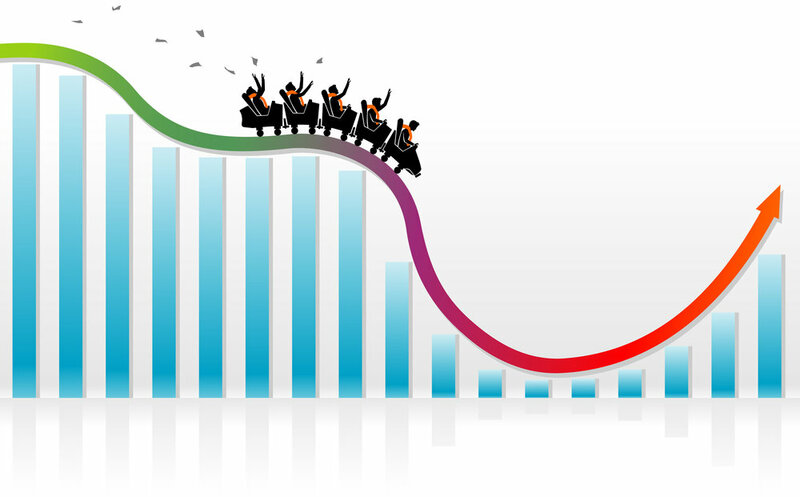 If you let market volatility get to you, it might scare you into selling at well below the value of your investments. It is one thing to have an investment process in theory – the question is how you are going to stick to it when things are not going your way and your mind is screaming at you to sell everything to avoid further losses. Make sure that defense against behavioral biases is a regular part of your investment process. •	Poor governance. You might be very comfortable with your long-term approach, but your board of trustees, your clients or your spouse might not share your conviction and exert pressure on you to change tack at the exact wrong time. Don’t have a mis-match in the time horizons between how you are investing your capital and how other key stakeholders are likely to act when the going gets rough. What can you do? At a minimum communicate in advance and prepare others for what might happen and how you plan to proceed in advance. 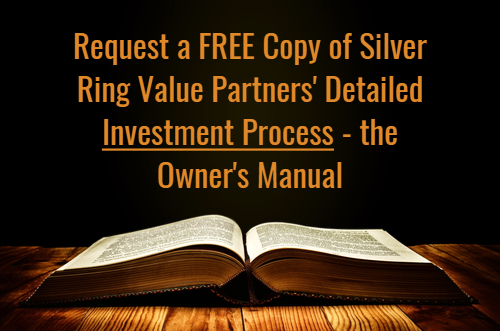 •	Share your written investment process with clients, prospects, your board or even your spouse. Anyone who can and should keep you accountable. •	Explain all of your individual decisions in the context of how they comply with the process you outlined to all the above stakeholders. Knowing that you will have to justify your actions by the yardstick of your own written process will help you resist the temptation to act irrationally in the heat of the moment. o	Is it possible that you are anchored to your initial conclusion? Have you sought out a strong opposite view? o	Do you feel any emotions with respect to an investment decision? A stock doesn’t owe you anything and doesn’t know your history with it. o	Have you considered the base rate probability of the events that need to happen for you to be correct? If most of the time things haven’t worked out well for others in similar situations, be as specific as you can be about why you think it will be different for you in this case. o	Are you being either too risk averse or too risk seeking? Investors are known to behave very differently when they have experienced a particularly bad or a particularly good period of performance. The ideal behavior that you are striving for is acting completely rationally all the time. Since you are only human, the next best thing is to recognize when your mental investing game is off and defer the decision until you have restored your equanimity. One morning late last year I told my wife that I was planning on buying a stock after the prior week's sell-off. "But how can you be sure that the price won't keep going lower? Haven't stocks been falling non-stop lately?" It's easy to get mesmerized by staring at the computer and watching falling prices. Your mind tells you: "It fell X%. It's going to keep falling. Just wait a little longer." I kept watching the screens. I didn't act. I now have a rigorous, written process that I have shared with all my investors in the Owner's Manual. As Benjamin Graham put it: "In the short-term the market is a voting machine, but in the long-term it is a weighing machine." Want to learn more? Sign up for the How To Invest For The Long-Term In A Turbulent Market webinar! Note: An earlier version of this article was published on Forbes.com and can be found here.